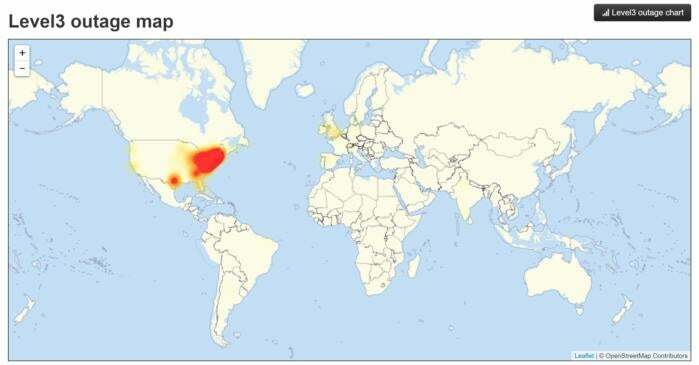 it appears a massive Distributed Denial of Service attack targeting DNS host Dyn has knocked a big chunk of the Internet offline. The Domain Name System (DNS) converts human-readable URLs (like “pcworld.com”) to their underlying numeric IP addresses. Dyn hasn’t confirmed that the outages and its DDoS attack are related, but it seems likely. Trying to connect to all of those sites indeed proved fruitless this morning. Zoho, SaneBox, and iHeart Radio also appear to be down on my end, in New Hampshire. Your mileage may vary, however, as Dyn says the connectivity issues are largely limited to the east coast. A DownDetector.com check of backbone Internet provider Level3 helps reveal the extent of the problem, as first reported by Gizmodo. The company says its engineers are toiling to fix the issues. If the sound of silence is troubling you in the meantime, Twitch and YouTube are still working just fine.